I mentioned not too long ago on The Twitter that I had a package recently show up at my front door from the good people at LaserLyte. 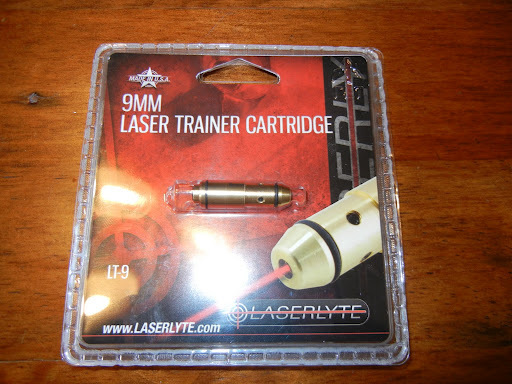 Inside said package was the 9mm version of their Laser Trainer Cartridge… the LT9 Laser Training System. This new devise that LaserLyte has introduced is a caliber specific training tool currently available in 9mm, .40 S&W, and .45 ACP. Basically, LaserLyte figured out a way to create a snapcap with a laser inside of it. How cool is that!? 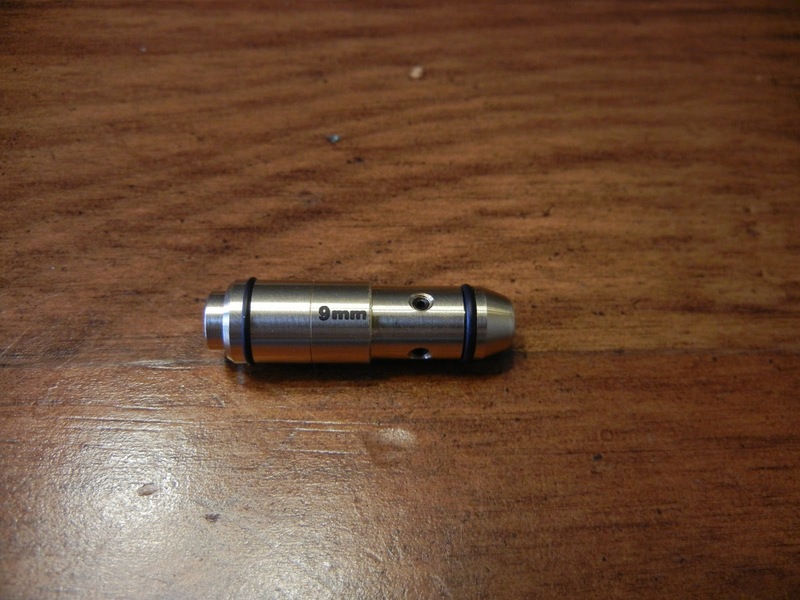 It fits right inside the chamber of your pistol like a normal round would, and when your firing pin hits the back of the cartridge the laser is activated. Awesome! 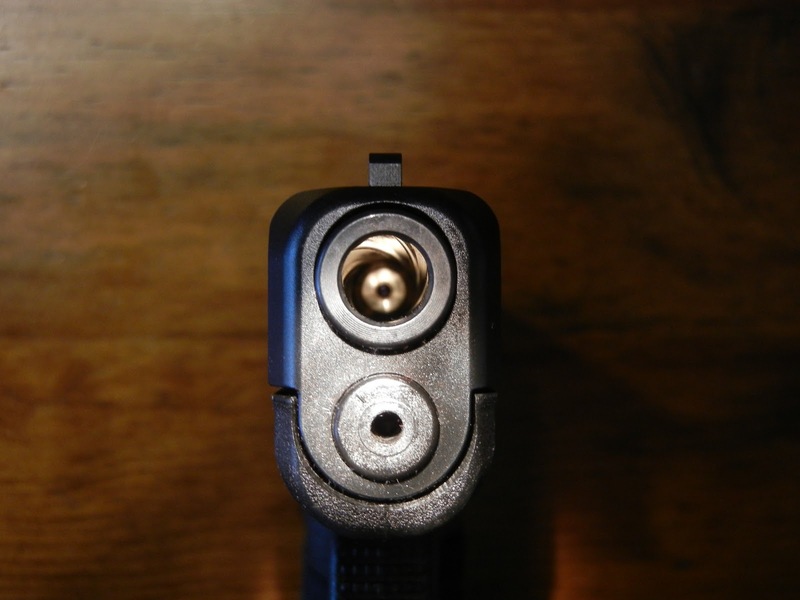 Now your dry fire practice can encompass one more very important part of pistol training… Point of impact. This really is a great training tool, but I must say…. it is a lot of fun too! The cool factor on this device is way up there… and I will admit that when I first got this thing I went around lighting up just about everything in the house! Accuracy on the LT9 they sent me was near perfect, so you can really make accurate judgments on how successful you were at putting a shot on target. Training with this devise gives you instant feedback as to what you need to do to improve. It’s gonna let you know when you rush a shot, and because the laser stays lit for a tenth of a second after the trigger is pressed its also going to allow you to tell if you are jerking the trigger. The Laser Trainer Cartridge is a great way to make dry fire practice more fun and engaging for new shooters as well as a way for experienced shooters to work on more advanced drills. I think the most valuable aspect of a tool like this is that it gives you a 100% safe way to practice things like shooting on the move, shooting from presentation, and point shooting and it also gives you instant feedback on how effective your shot was. Basicaly the only thing missing from dry fire practice now is the recoil – but I dont think they are gonna figure that one out anytime soon. The down side of this product is that unless you have a pistol with second strike capability, you will have to reset your trigger before you can shoot the laser again. Essentially, you will only be able to practice getting that first shot on target… but isn’t that the most important part of a gun fight anyway? Its not a deal breaker in my mind, and it only slightly limits your training options. Another great use for the Laser Trainer Cartridge is to practice your tap, rack, bang drill. 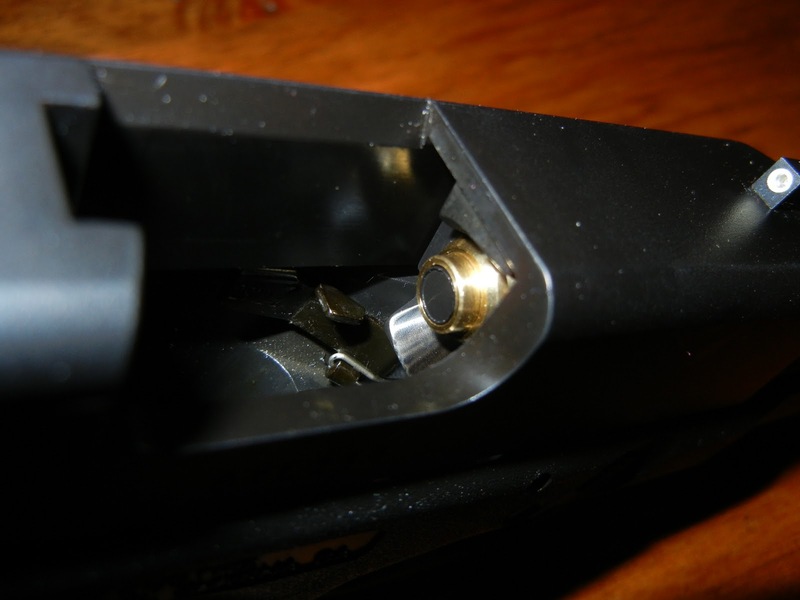 The cartridge is held in the chamber by two rubber gaskets and since it has no rim, it wont eject when you rack your slide to reset. The laser stays in the chamber until your practice is over and you gently push it out from the muzzle with a pen or pencil. So with this in mind, here are five good reasons that you should WANT a high capacity magazine. 1. Multiple assailants. Whether on the street or during a home invasion, violent criminals often move in pairs or packs. Realize that you will never shoot as well as your score at the range when you are under the unbelievable stress of a life-or-death encounter. Which would you prefer to have in your magazine in such an event? Ten rounds? Or fifteen or seventeen? Or perhaps even 30? 2. Private citizens always face the threat before the police arrive. Private citizens were on the front line at Tucson, Columbine, and Virginia Tech. Why limit our effectiveness? You should logically want whatever cops choose to carry. How many cops choose a ten round magazine? If politicians want to hinder us “little people” with a ten round limit, they should also hamper the police with the same limit. Let’s see how far that flies. In nearly every instance it is not a cop on the “front line” of a violent situation. It is private citizens who must face the “lone gunman” until (and sometimes even after) the police arrive. See Dial 911 and Die. Is the life of a policeman more important than yours? 3. Civil disturbances. Watch the Reginald Denny beating video some time. Review the looting insanity of Hurricane Katrina. 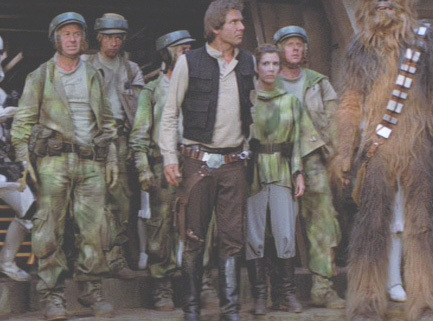 You’ve got a crazed mob of ten, twenty, or fifty people headed in your direction. Are ten rounds enough? Might you want fifteen, or seventeen, or even thirty? Oh, and while you’re at it, perhaps bring from memory those Los Angeles Korean store owners standing guard on the roofs of their businesses with semi-auto AKs during the Rodney King riots. No one messed with those stores, did they? 4. Because it is your most fundamental right as guaranteed by the U.S. Constitution, and, more importantly, as given by G-d A-lmighty: the right to the righteous defense of yourself and the innocent. “Shall not be infringed” simply means what it says. When politicians infringe on magazine capacity, they infringe on the Second Amendment. You should want a high cap mag because you can have one! 5. Your assailants may well be armed with high cap magazines themselves. No ban will affect these criminals; it will actually encourage them. Do you really think the gang bangers care about federal laws? Again, ask the local cop why he or she won’t “downgrade” to a ten round mag to go along with this feel-good idiocy. Ask the pols why they don’t think the cops should do so. Head on over there right now and sign up to follow us so that you wont miss a single thing! Shelley Sargent of Gun Nuts Media fame has debuted her new website. Go check it out here. She claims its still a work in progress, but its looks pretty good so far. Everything I have always read by her is a great read too, so you should look for some really good content to come from there. *Hey, Shelley, what the heck? I can’t make the blog roll??? Love ya!